They had to rein in their natural instincts and dig as deep as they can ever have done in the longer form of the game. 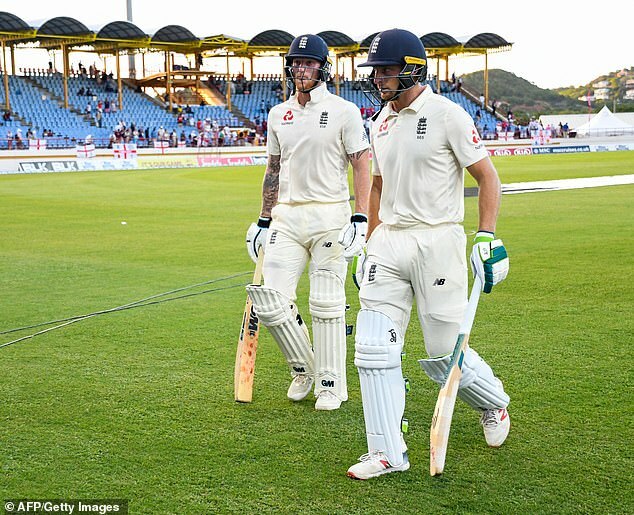 But Ben Stokes and Jos Buttler gave England hope on Saturday of escaping from their Caribbean nightmare with at least a little of their pride intact. 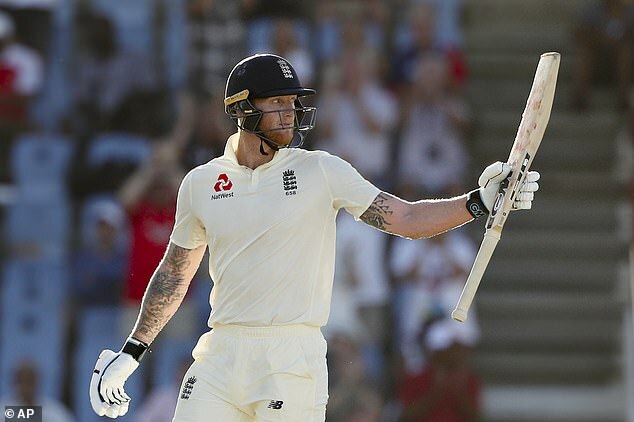 The first day of the final Test of this most chastening of series began with an all too familiar tale of yet another revamped England top order failing and leaving them in danger of the most embarrassing of whitewashes. But it ended with two of England’s brightest and most positive talents adapting their games to the situation, playing for time as much as runs in putting overs into tiring West Indian legs and, yes, batting like proper Test cricketers. 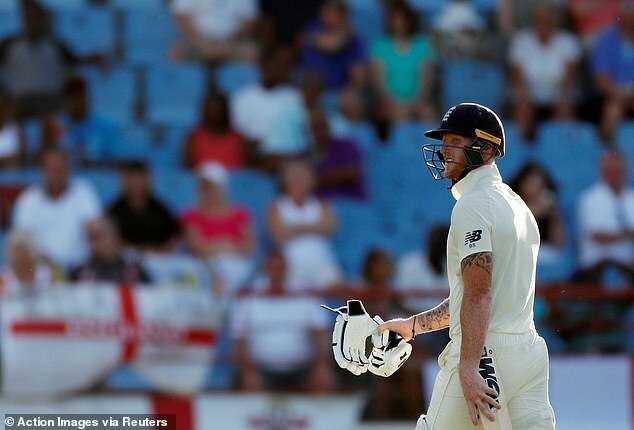 They were still there at the close having added 124 in 35.1 hard-fought overs even though Stokes was actually given out and had made it all the way back to the dressing room before being reprieved in an extraordinary incident towards the close. 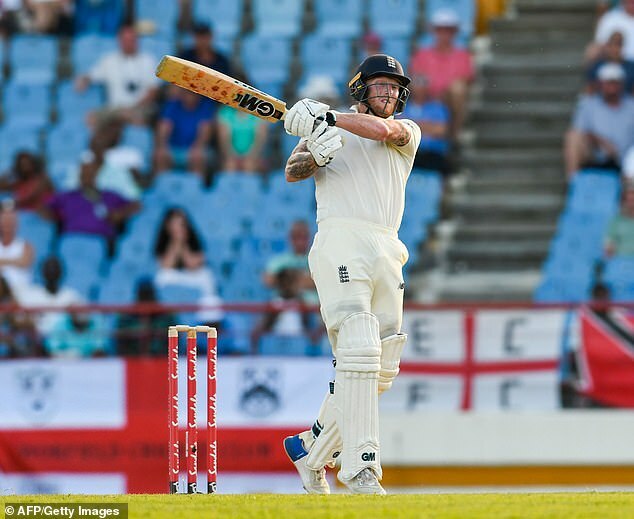 Stokes, who so nearly missed this Test with a heel bruised when he trod on a stone on the Rodney Bay beach during an England fitness session here, was dejected when he tried to pull a short ball from Alzarri Joseph and struck it straight back to the bowler. 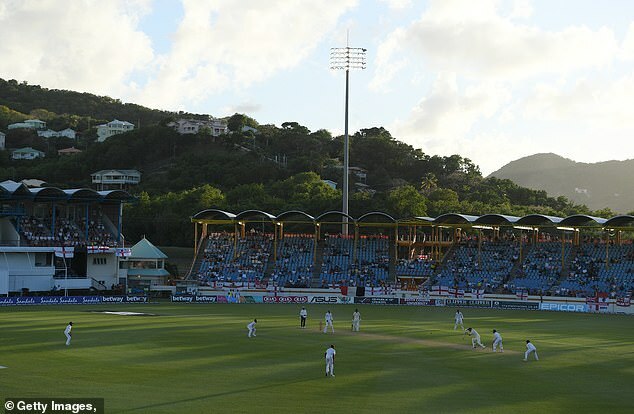 He left the Darren Sammy Stadium outfield and had disappeared from view, with Jonny Bairstow on his way to the middle, when Joseph belatedly and unsatisfactorily, was found to have overstepped by TV umpire Chris Gaffeney. The sooner the ICC sort out the mess caused by on-field umpires failing to call no-balls the better. 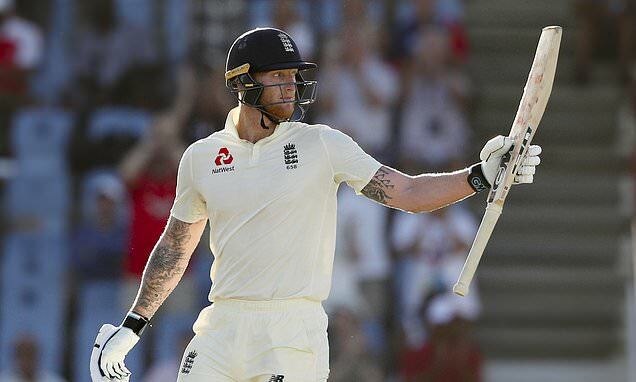 Stokes, allowed to continue a welcome return to batting form, was quickly summoned back and took his score to 62 with Buttler on 67 in England’s 231 for four before a belated finish with seven overs unbowled by a West Indies attack seemingly learning nothing from captain Jason Holder’s enforced absence here. Two old-fashioned West Indian thrashings in a series England were expected to dominate led to a very old-fashioned reaction when Joe Root and Trevor Bayliss made 80s-like illogical changes ahead of this third Test and then told a top three that keep on failing to defend for dear life. And even though they desperately tried to build a platform on what turned out to be a near perfect batting pitch by going along at fewer than two an over in the first session they couldn’t keep out this rampant West Indian attack. Nothing was more depressing for England than the sight of the man they brought back here against all cricketing sense and then saw him make the same mistakes that already looked as though they had ended his international career. 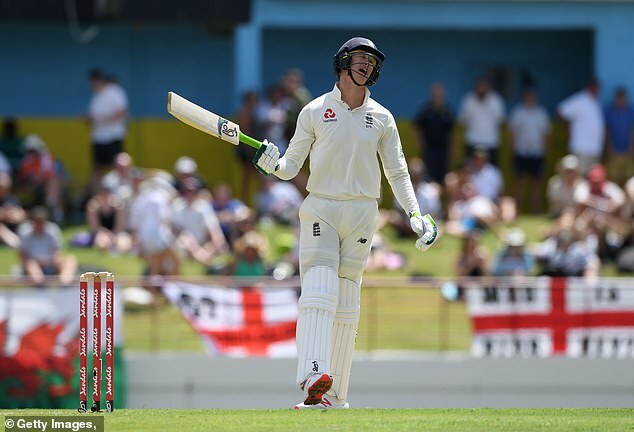 It was painful to watch Keaton Jennings trying to cope with the pace of this throwback of a West Indian attack before he was put out of his misery after 43 agonising deliveries. 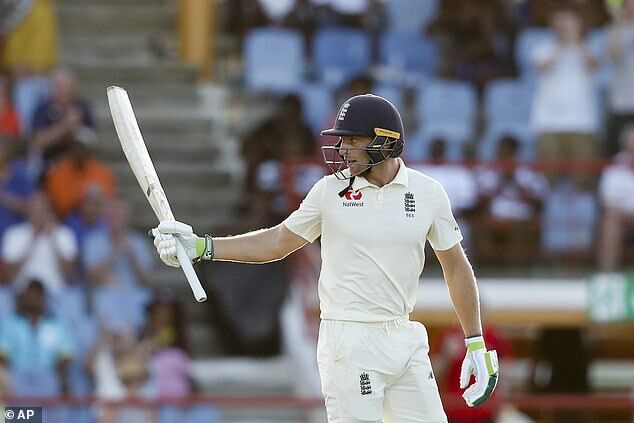 Jennings, recalled as the only spare batsman in a bowler-laden squad once England had decided to give the gloves back to Jonny Bairstow, could have been dismissed twice in one over from Kemar Roach. First he should have been given out on three lbw by umpire Kumar Dharmasena and then, even more frustratingly for West Indies, he edged straight through the hands of Roston Chase at third slip. Yet all that did was delay the inevitable when Jennings could not stop himself getting out in exactly the same manner that has plagued his Test career, driving loosely with stiff legs and his weight on the back foot outside off-stump to the first ball after the drinks break and providing slip practice. 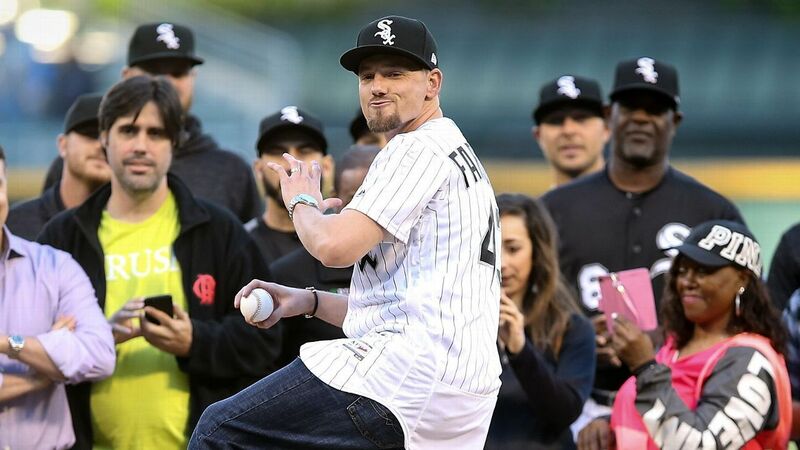 It was not even rapid fast bowling that did for him either but the inexperienced figure of Keemo Mandela Angus Paul, an all-round replacement for Holder, who struck with his first ball of lively but far from express pace. 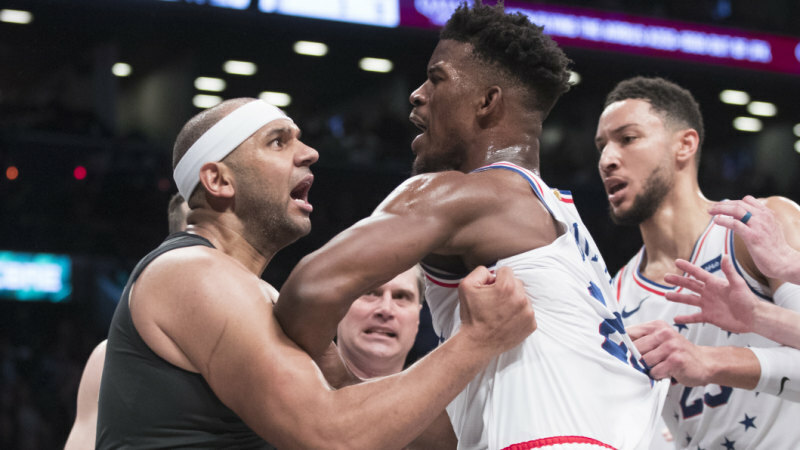 Paul’s middle names are intriguing. Mandela needs no explanation but the fact he is called Angus and was born at almost exactly the time England’s Angus Fraser was destroying West Indies in Trinidad on the 1998 tour suggests his parents are fans of nagging medium pace. Certainly Paul did not need Fraser’s capacity for accuracy to lure Jennings into another act of self-destruction that exposed England’s folly in bringing him back here and making Ben Foakes the unfortunate fall-guy of their attempt to regain the right balance to their side. 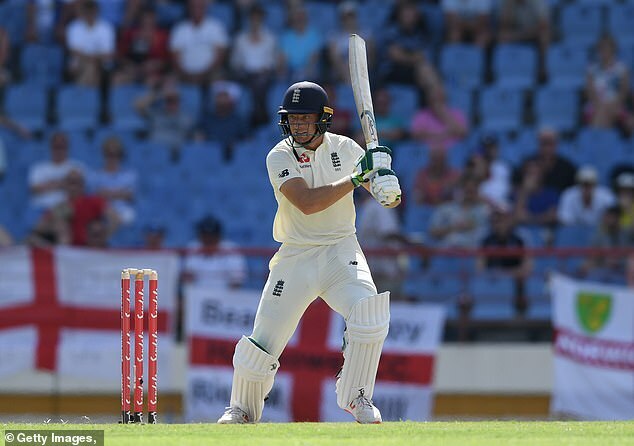 At least Joe Denly was moved to the more familiar position of three even though Bairstow had shown he was capable of batting there by making a hundred in Colombo and a very good half century in Antigua. But it has to be questionable that Denly, wherever he bats, is going to carve out a Test career at 32 and his selection for this tour after looking out of his depth in the warm-up matches in Sri Lanka is looking more and more like a mistake. Admittedly, Denly would never have faced bowling at Kent of this calibre, particularly as he has spent much of his time in the championship second division and he too struggled before suffering another cheap demise. 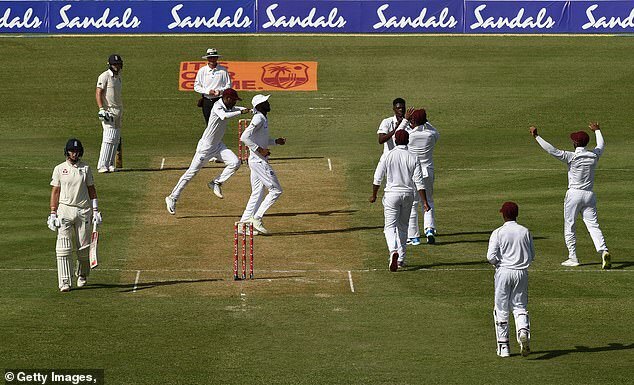 On the stroke of lunch Denly survived a loud appeal for a catch behind down the legside off the extra speed of Shannon Gabriel, who consistently surpassed 90 miles per hour, but umpire Rod Tucker rightly adjudicated that his glove was off the bat handle when it touched ball. Again, it was only a temporary reprieve as Denly was palpably lbw to Gabriel, who took 13 wickets here against Sri Lanka last year, and wasted a review when appearing to be encouraged to challenge Tucker’s decision by captain Joe Root. That came just seven balls after Rory Burns became the second victim of the 20-year-old Paul, best known up to now for his Mankad dismissal against Zimbabwe that helped West Indies to the 2016 Under 19 World Cup, when he too was trapped right in front. The only difference this time was that Dharmasena inexplicably failed to give the decision and was rescued by technology. That left Root and Buttler attempting to repair all too familiar damage after England had lost their third toss of the series having won all three in Sri Lanka before Christmas. The two made a nervous start, Buttler being dropped on nought by a combination second and third slips, but, just as life appeared to be getting easier, Root gave it away slashing at a wide ball from Joseph and England looked in big trouble. 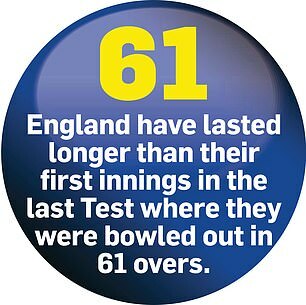 That the picture was more rosy at the close was totally down to Buttler and Stokes but England still have much to do if they are going to post a total big enough to dictate terms at a venue that has seen four draws in its only six Tests. 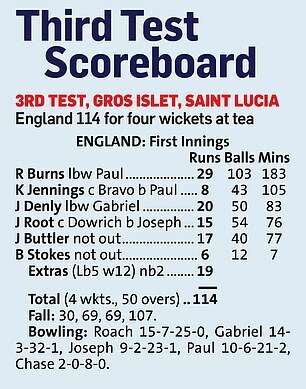 But at least they showed guts and gumption, with the score rate remaining under three an over all day, and after all that happened in Barbados and Antigua that is at least a start. It was a short-lived reprieve, though, as he flirted with the first delivery sent down by the recalled Paul, and was grabbed behind by Darren Bravo, immediately after a drinks break and a change of match ball. England’s attempts to show greater application were laudable but Rory Burns and Joe Denly followed in successive overs after crawling along at two an over. 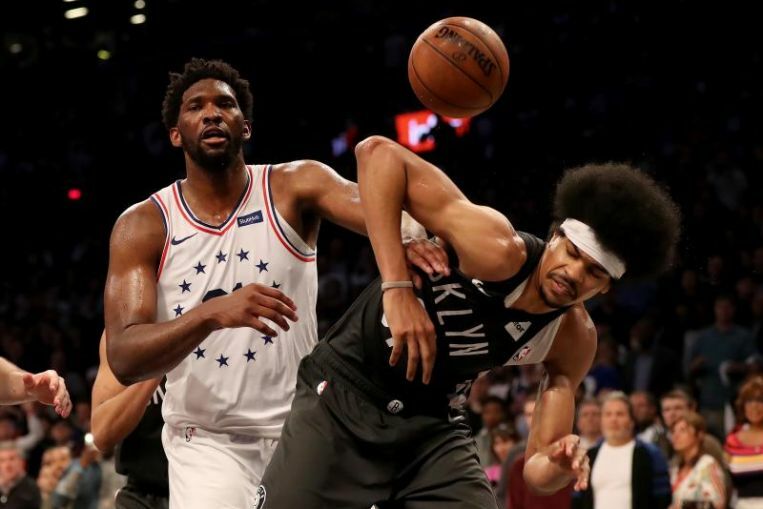 Both went leg before – Burns to a well-judged review after the skilful Paul shaped the ball in from wide of the crease, and Denly to an ill-judged one after Shannon Gabriel pinned him back. Root survived a huge scare second ball when Paul swung one back in but he was gone before a delayed tea via an ambitious swish at a widish delivery from Joseph. What was most depressing for Jennings, who has made two centuries in the sub-continent predominantly against spin, is that he was out driving loosely and is clearly not learning from his mistakes.